Today i log in to Clicks-fx to upgrade my account, but i cant stick the line : Use my PZ E-wallet ( the picture below), have u off something with PZ? My PZ account is verified. Admin, where are u, i want to upgrade my account, i want to give my money to you... where are you ?? It seems like a bug or some country limitation, as all payments are accepted, even from unverified. We are going to contact Payza and see, what they will say. Payza said, that you should try another browser, and, if problem persists, contact them directly. I have try both Google Chrome and Fire Fox , but seem like it not working. Or we can do this way. 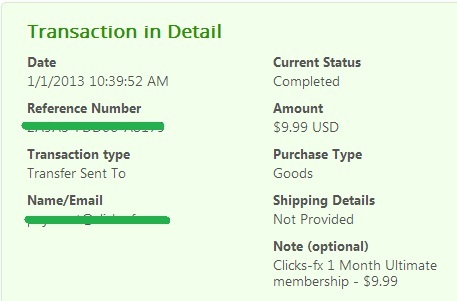 Tell me your PZ email, i will send directly into your PZ account ?? If you think it ok, inbox me your PZ email ? And check my PZ email in my setting. Thanks for upgrading your account!